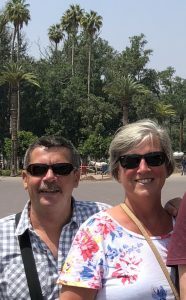 Paul Carney from Champion Marine first encountered the Gazelles when he and his lovely wife Christine went on a photographic holiday to Morocco organised by Helen. Paul is a marine engineer with his own company, and we are delighted to have their support. If the ferry breaks down on the way to Morocco for the rally we know who to call !!! !